The 36 year-old actor Bradley Cooper, known in The Hangover series for his portrayal of Phillip Wenneck, a school teacher, has indicated that he wishes to return for yet another sequel after 2011’s The Hangover Part II. The films feature a stir of comedy and drama and focus on twists and gags that include disgusting and disturbing things, but always have funny moments and great dark comedy. There has been word that if a third film is made, it will take a turn from the usually hungover template from the series and find a new aspect to focus on. 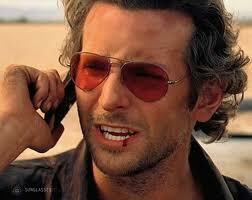 Comments for Bradley Cooper Wants to Return for a Second Sequel to “The Hangover” are now closed.